Sagittarian were a Japanese primarily-instrumental six-piece that put out one obscure album in the early 80s (in a limited edition of 100). The dominant sound is a Camel-influenced progressive rock, relying on multi-keyboards, guitars, bass, drums, and vocorder, with simple and straightforward compositions that tend to highlight a keyboard orientation. 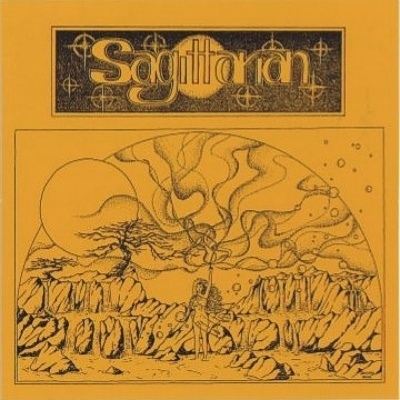 While there is no denying that Sagittarian's music is well played and evokes a very progressive ethic, it does seem that the compositions here just don't have the power and spirit to make this all that interesting over the long haul, and in the end becomes one of the more forgettable Japanese reissues. Lightweight is the keyword. To top it off, the production is very thin and distant, lacking the meat that makes one want to go back for repeated listens. In summary, this one is probably of interest only to collectors.